A filter app is a great way to quickly enhance your iPhone photos. But which is the best filter app for your photography? In this article, we compare the top 10 photo filter apps for iPhone. You’ll discover filters that boost colors, convert to black and white, add a vintage look, and apply artistic textures to your images. Whatever your photo editing style, you’ll find the perfect filter app for you. VSCO (pronounced visco) is one of the best photo filter apps for beautiful, understated edits. Many apps contain garish and overpowering filters, but VSCO filters are more subtle. The filters in VSCO are called “presets.” Each preset makes your photo look like you shot it with a film camera. The app has a wide range of color and black and white filters, organized into collections. Each collection contains filters suited to particular types of photography or editing styles. This makes it easy to choose the best photo filters for your images. Once you apply a VSCO preset, you can adjust its strength to tone down the effect. You can make further adjustments using a selection of editing tools. These include color, exposure, sharpness, skin tone, film grain, vintage fade, and vignette. You can organize filters and editing tools so that your favorites are always easy to find. The VSCO app also has a built-in camera and photo-sharing community. VSCO is free to download from the App Store. It includes a basic collection of 10 filters as well as a set of photo editing tools. You can access the full range of over 130 filters, as well as additional editing tools, by subscribing to VSCO X membership ($19.99 a year). A Color Story focuses on bringing the colors in your photo to life. This photo filter app makes colors pop and whites appear bright. In general, the filters add a fresh, modern touch to your photos. You can create custom filters, and save them for future use. The app has over 20 editing tools, including the option to apply edits to selected parts of your image. A Color Story also has a wonderful collection of moveable overlay effects. These include lens flare, bokeh, light leaks, glows and textures. You can move, resize and rotate these overlays. And you can adjust the opacity to blend the effect with your photo. The batch edit feature lets you apply filters and other edits to several images at once. This is a great time-saving feature when you have a lot of similar photos to edit. A Color Story is free to download on the App Store. It comes with a selection of free filters to get you started. You can download many more filters and effects, starting at $0.99 per collection. Afterlight 2 is an all-in-one photo editing app, with a large collection of free filters. Filter packs are created by well-known mobile photographers. Each pack is designed to evoke a specific mood. Afterlight 2 filters are quite subtle. So you don’t have to worry about them overpowering your photos. They range from bright and fresh to grungy and vintage. This gives you plenty of choice for different editing styles. You can customize existing filters using a range of editing tools. Or create your own custom filters for a unique look. The app has a selection of dust and light leak overlays. And you can edit your images using a wide range of adjustment tools. You can also blend two images to create beautiful double exposures. Afterlight 2 is available for $2.99 on the App Store. The price includes all filters, and there are no in-app purchases or subscription fees. The app is updated with new free content every month. Click here to learn how to use the Afterlight photo editor. Snapseed offers a wide range of filters for getting creative with your iPhone photo editing. Some of the Snapseed filters aren’t as subtle as other filter apps. But the filters are customizable, so you can tone down the effects if you wish. Filter categories include Black & White, Vintage, Grunge, Grainy Film, Retrolux and Glamor Glow. The Portrait filter is perfect for enhancing your portrait photos. It brightens faces, smoothes skin, and makes eyes sparkle. Snapseed also has a set of filters under the Looks tab. Again, you can customize them to suit the photo you’re editing. This app is a powerful photo editor with an excellent set of professional editing tools. You can apply edits to only certain parts of the image, giving you ultimate control over your photos. Snapseed is free to download from the App Store. Everything in the app is free. There are no in-app purchases, subscriptions or upgrade fees. Click here for a complete guide to Snapseed photo editing. Instagram is one of the most popular photo-sharing apps. If you use Instagram to share your iPhone photos, you can apply a filter right before you post your image. Instagram has a great selection of filters, although not as many as some of the other apps we’ve covered. Some of its iPhone filters have a subtle vintage feel. But there are also options for creating a fresh or moody vibe. You can adjust filter strength using a slider. And there are editing tools for fine-tuning color, exposure, fade, and sharpness. You can also add a vignette or tilt-shift effect. Instagram is free to download from the App Store. All filters and editing tools are free to use, and there are no hidden charges. Check out this tutorial to learn how to edit your iPhone photos with Instagram. Darkroom offers a good selection of free filters. And there are plenty more premium filters available to buy. The great thing about Darkroom is you can apply filters and edits to Live Photos as well as still images. Filters range from bright and colorful to faded vintage and monochrome. They’re organized into categories, including Landscapes, Portraits, and B&W. You can adjust the filter strength using a slider. You can also create your own filters and save them for future use. The batch edit feature lets you apply filters and other edits to many photos at once. As well as one-tap filters, Darkroom has an impressive collection of editing tools. These include standard color and exposure tools, as well as curves and selective color. Darkroom is free to download from the App Store. It comes with 12 free filters to get you started. You can buy the entire collection of premium filters and editing tools for $7.99. Enlight contains a great range of beautiful, highly customizable photo filters. The Analog filters add a film-inspired look to your photos. The BW presets include classic black and white, as well as vintage sepia styles. The Duo filters apply gorgeous duotone gradients of two colors. You can customize each preset to create your own unique look. Filter settings include color, brightness, film grain, fade, vignette and light leaks. Enlight is a very intuitive app to use. You adjust the strength of filters and settings by swiping left or right. The app has a Mask tool for applying filters and edits to only certain parts of your image. It also has a good selection of general photo editing tools. And you can get creative with the artistic paint and sketch effects. You can download Enlight for $3.99 on the App Store. Everything is included in this price, with no extra in-app purchases. Click here for a complete guide to editing your iPhone photos in the Enlight app. Polarr has an extensive collection of free film-inspired filters. Many more premium filters are available by subscribing to the Pro version of the app. The Polarr filters are of high quality, and the strength is adjustable. You can also create and share your own custom filters. Polarr has a great range of professional photo editing tools. You can also add photorealistic overlays. These include clouds, sunset skies, rain, snow, sun flares, and light leaks. Get creative by adding and blending several different layers of effects. Polar is free to download on the App Store. It comes with a large collection of free filters. More are available to buy via subscription. Polarr Pro subscription fees are $2.49 a month or $23.99 a year. This gives you access to their premium filters and pro editing tools. Mextures is an amazing app for adding vintage and gritty textures to your iPhone photos. It has a huge collection of textures, film grains, light leaks, and colorful gradients. These add wonderful mood and an artistic edge to your photos. The app has a range of beautiful film-style filters, and the option to convert to black and white. You can use the editing tools to adjust color, exposure, and sharpness. You can stack and blend unlimited layers of effects to create unique edits. Save your edits as “formulas” to use over and over again on your photos. Or use formulas created by other photographers. This is perfect for getting started if you’re new to the app. You can download Mextures for $2.99 on the App Store. More collections of effects are available as in-app purchases. Click here to learn how to use Mextures to add wonderful textures to your iPhone photos. Distressed FX allows you to create stunning artwork from your iPhone photos. Turn an ordinary image into a unique masterpiece with filters, textures, and overlays. The effects in this app are particularly suited to still life and landscape photography. Start by adding a moody or vintage-style filter. Then transform your photo with a distressed texture overlay. You can even add a custom overlay using one of your own photos. You can customize filters and textures in a variety of ways to ensure they blend with your photo. The Bird tool lets you add a flock of birds to your image. There are also cloud overlays to enhance a dull sky. Other effects include bokeh, lens flare, and light leaks. You can also add a blurred vignette to help focus attention on the center of your composition. Distressed FX is very easy to use. In less than a minute, you can turn a mundane iPhone photo into a work of art. Distressed FX costs $0.99 on the App Store. More filters and overlays are available as in-app purchases. In this article, you’ve discovered the 10 best photo filter apps for iPhone photography. But how do you choose the best filter app for you? You definitely won’t need all 10 of these apps. You might only need one photo filter app. Or you might choose to download two or three to give you plenty of editing options. The best photo filters are the ones that match your own personal style of editing. So take a moment to think about what kind of look you want to achieve when editing your iPhone photos. Do you like vintage, film-inspired images? If so, VSCO and Enlight offer stunning film-inspired filters. Snapseed is also a good option for grungy, retro and vintage-style filters. Are you drawn to clean, bold, modern, or colorful photography? A Color Story and Darkroom both have brighter photo filter options. Do you want to add overlays such as lens flares, light leaks, weather effects, and dusty film textures? Choose a filter app like Polarr or Afterlight 2. Do you share your images on Instagram? If so, it might be the only filter app you need. You can apply beautiful filters to your photos right before you share them. 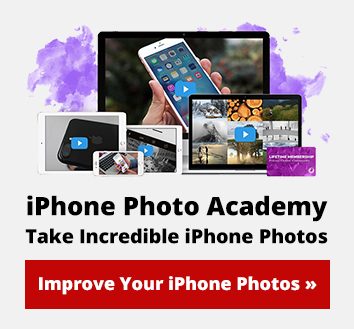 Do you want to get creative with your iPhone photography? Mextures and Distressed FX let you turn a mundane iPhone photo into a beautiful work of art. You should also consider what kind of control you want over your iPhone filters. Are you happy with a one-tap filter? If so, VSCO and Instagram are perfect. If you want to customize filters, choose a more sophisticated app like Enlight, Snapseed or Afterlight 2. And finally, think about whether you’ll want to use other photo editing tools as well as filters. Some apps focus on filters, with a few simple editing options available. But other apps include powerful photo editing tools, as well as one-tap filters.